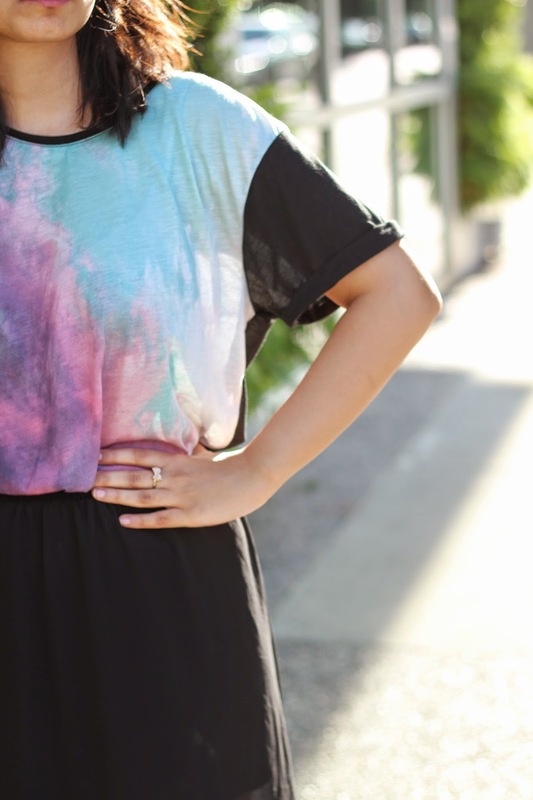 This outfit is super easy, pair a galaxy shirt with a black maxi skirt and voila, I'm ready! These are my favourite types of outfits. Easy to put together and super comfortable. As you can tell from my previous posts I'm all about comfort! Hope your week is off to a great start, Happy Monday! I nominated you for Liebster Award . Check out my post. I love that skirt! 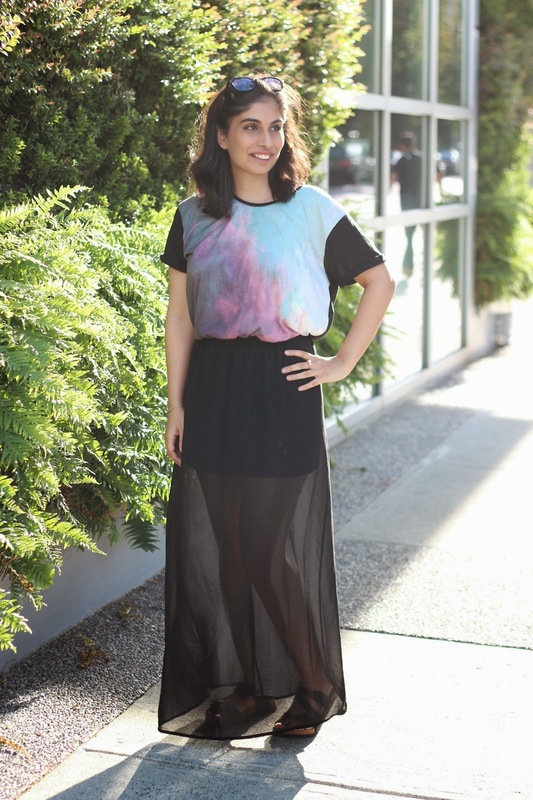 I really want a chiffon maxi! Super cute! 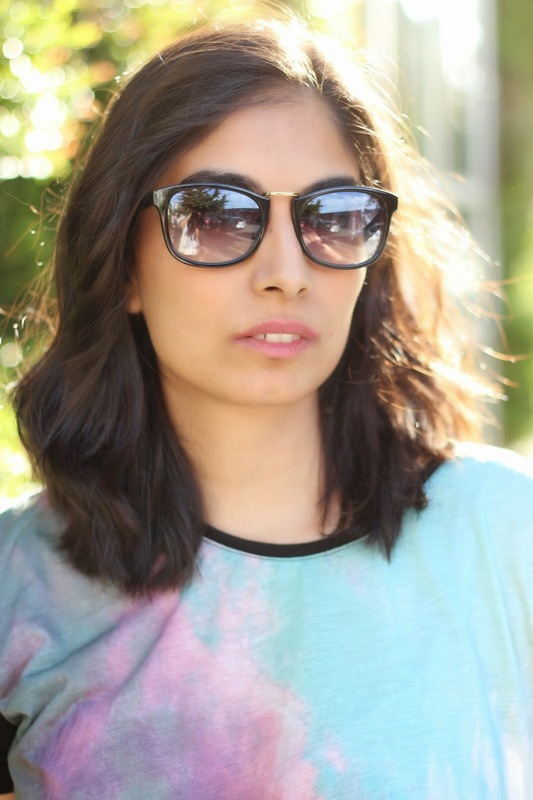 Love these sunnies! Hey I've just nominated you for a Liebster award! these sunnies! love this outfit! 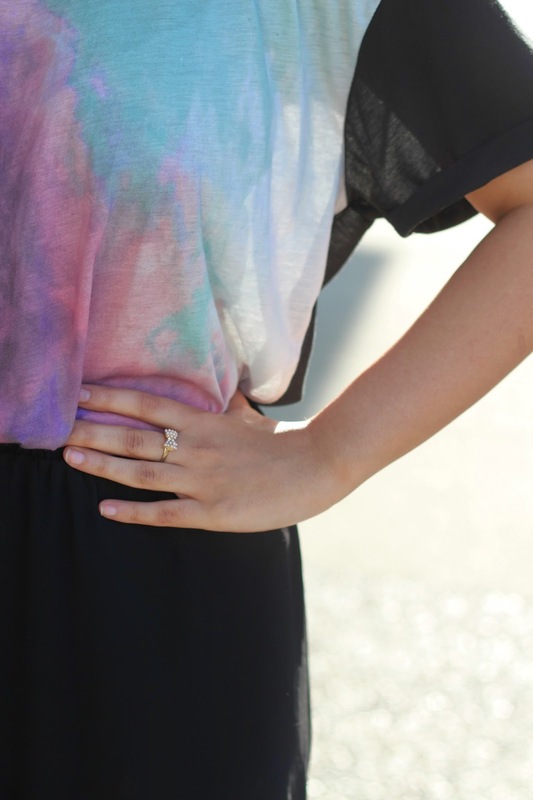 I looveee the colors of your top! they are happy colors and make for the perfect top! 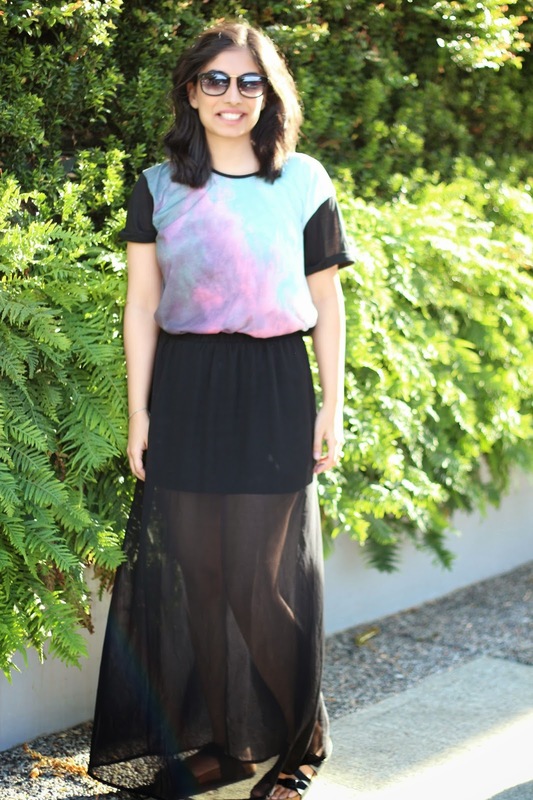 cute skirt, love your blog!